Words by Fiona Symington-Mitchell. Photos courtesy of Forty Hall Vineyard. WITH its much anticipated first bubbly released last year, Forty Hall Vineyard has the London foodie community talking. Founder Sarah Vaugh-Roberts speaks about ecotherapy, the British wine industry and weeding. ​Enfield on the outskirts of London is the last place that you would expect to find a vineyard. Yet across ten acres of bucolic landscape, an organic vineyard is thriving. Founded by Sarah Vaugh-Roberts in partnership with Capel Manor College, Forty Hall Vineyard is the first working vineyard in London since the Middle Ages. With approximately 500 vineyards in England and Wales producing sparkling and still wines, sales of English wine are expected to reach £100 million this year. 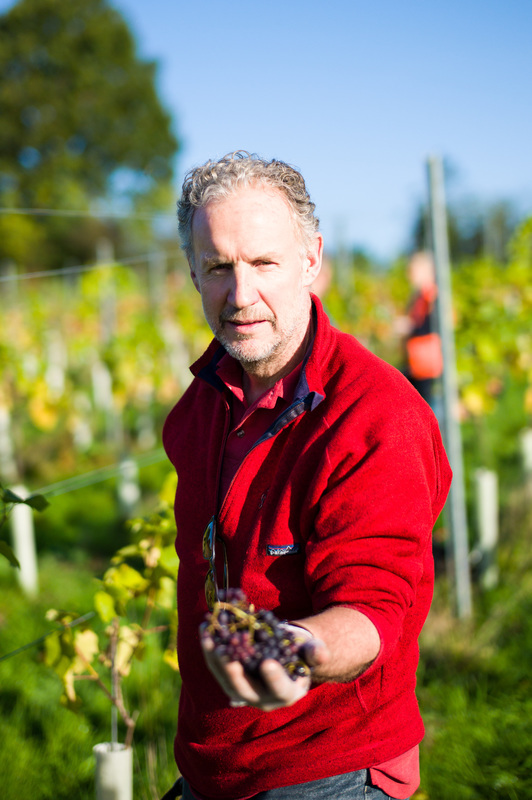 Itself a part of this growing UK industry, Forty Hall Vineyard has gradually established 10 acres of vineyard since 2009. ​Grown organically on land made available through Capel Manor College, the grapes are fermented, according to Sarah, “with as little intervention as possible. The wine that is produced best reflects the terroir, the unique characteristics of the place, the soil, and its microclimate”. At the vineyard, five grape varieties are cultivated: Ortega and Bacchus for still white wines and the three Champagne varieties Pinot Noir, Pinot Meunier and Chardonnay for the vineyard’s traditional-method sparkling wines. With pioneer and award-winning organic winemaker Will Davenport, the vineyard has released three wines to date. Of its first wine, Ortega 2013, Doug Wregg of Les Caves de Pyrenes and Real Wine Fair Organiser said: “For a first vintage it has delicious mouth feel, good texture, a lovely floral note and a fresh finish!” This release was quickly followed by Ortega-Bacchus in 2014, and in December last year, the 2013 London Sparkling Brut. The first sparking wine to have ever been produced in London, it was made from the vineyard’s Pinot Noir, Pinot Meunier and Chardonnay grapes. Aged for a year on the lees, Sarah describes it as “very light, refreshing, young.” A second release of the London Sparkling Brut (2014 vintage) is due this Autumn 2016. It will only be available through a sponsorship offer as the supply will be very limited. Run and managed by local people, the vineyard is also a social enterprise. Staffed by over 40 volunteers, all receive training in key aspects of viticulture from the biology of the vine to wine tasting. Advocates of ecotherapy (the health and well-being benefits of working outdoors with others), the vineyard works closely with local community groups, including mental health services. Over 25% of their volunteers have low to moderate mental health issues. As for the practicalities of running an organic vineyard, Sarah shares, “we spend a lot of our time weeding!” In the vineyard, no synthetic fungicides, herbicides or fertilisers are used and key aspects of biodynamic cultivation have been adopted such as the use of special compost and herb-based sprays. Sarah and her team are even planning to introduce a horse-tractor to reduce soil compaction and fuel consumption. 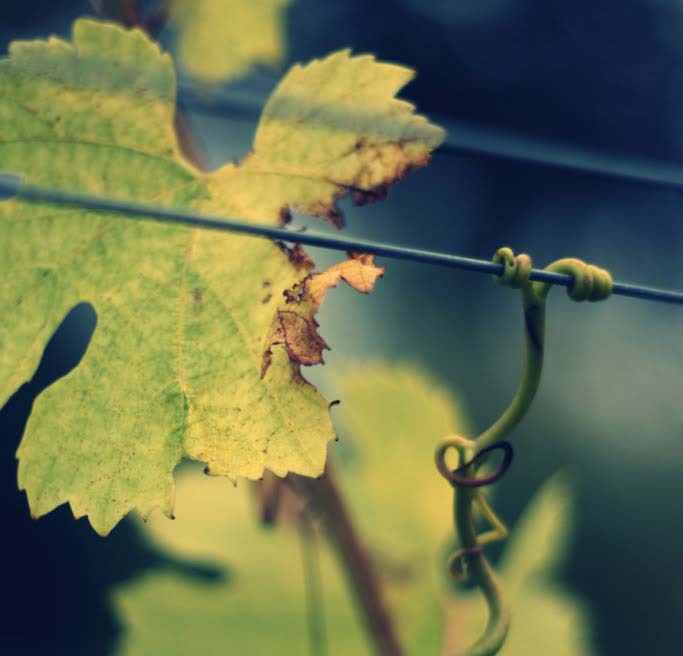 Being both a community-run and also commercial vineyard is not without its challenges. “As a social enterprise, we are constantly pushing to be taken seriously as a wine producer and wanting to be seen primarily as that by people who are buying our wine, ” says Sarah. To find out more about the vineyard, you can contact the team on 020 8366 7511 (Mondays and Wednesdays only) or by email. You can read how to become a volunteer here.